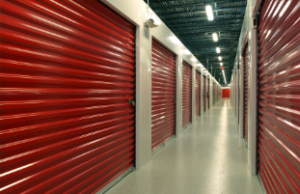 At Access Storage Now, self-storage units become available for auction in the state of Indiana if storage units are abandoned or left unpaid for a period of time. As seen on television and discussed on major news publications, storage unit auctions have risen dramatically in popularity. Bidders and auctioneers alike can locate high quality storage units from anywhere in the state, thanks to the convenience of online auctioning. We offer access to the best in online self-storage auctions in Indiana. We strive to deliver our customers the best storage auction experience through our outstanding customer service, both during the auction and after the storage unit has been sold. Auctions are open to the public and we encourage anyone to try their hand at online storage auctioning! Are you interested in participating in a storage unit auction but don’t have the time to do it in-person? Our online storage auctions allow Indiana residents to bid on exciting storage units without the hassle. In order to deliver this level of convenience, we partner with Storage Treasures, a leading marketplace in online storage auctions. With this partnership, Access Storage can provide our customers with full-range online auction schedules and exposure to the world’s largest self storage auction audience available. To visit their site and begin bidding, click here! Looking for a local Indiana self storage auction at one of our Access Storage Now facilities? Receive the latest updates for every Access Storage Now auction by emailing info@accessstoragenow.com.